원효로성당은 1902년에 세워졌으며, 프랑스인 코스트 신부가 설계·감독 했다. 원효로성당은 언덕을 이용하여 지었기 때문에, 남쪽 언덕 아래는 3층이고 수녀원쪽은 2층이 된다. 주로 이용하는 출입구가 중앙이 아니라 한쪽으로 치우쳐있어 비대칭의 모습을 이루었다. 건물의 내부는 제단과 예배석만 있는 단순한 교회형식이지만, 뾰족아치로 된 창문이나 지붕위의 작은 뾰족탑은 전체적으로 약식화된 고딕풍의 모습을 이루고 있다. 원효로 성당은 19세기 말의 성당 건축이라는 점에서 매우 중요한 건축사적 의의를 갖는다. 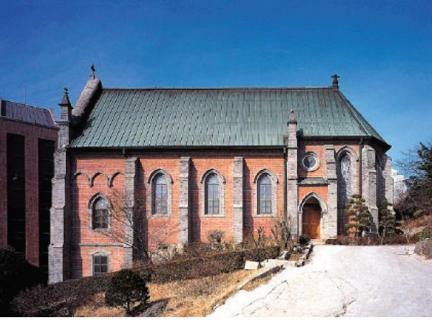 Wonhyo-ro Catholic Church in Seoul was erected in 1902 according to the design and under the supervision of a French priest named Coste. 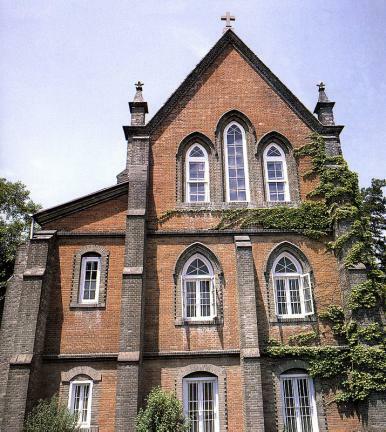 Built on a hillside, the building has three floors in its southern part but only two floors in the part which serves as the convent. 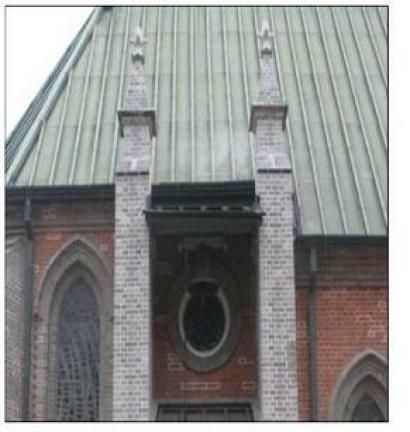 As the main entrance is not located at the center, the building has an asymmetric structure. 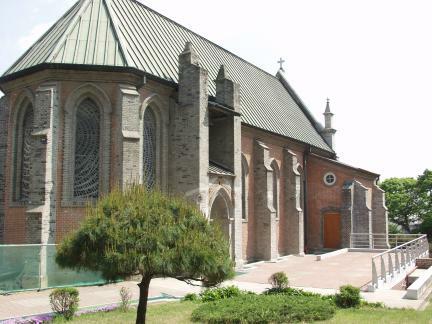 Like a usual church, there is a chapel and an altar inside the building, and the windows with pointed arches and the steeple display a simplified gothic style of architecture. 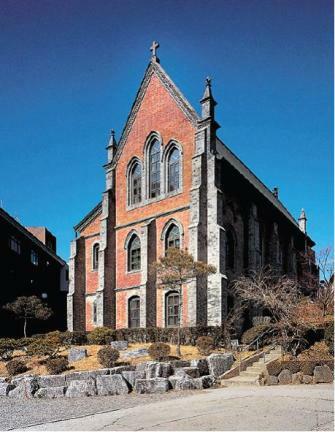 This church building is particularly significant as it is representative of the Catholic churches built towards the end of the 19th century.